Michael Moore poked at the audience behind the success of American Sniper. The far left Democrat said the movie owed its success to the “Passion of the Christ” crowd. 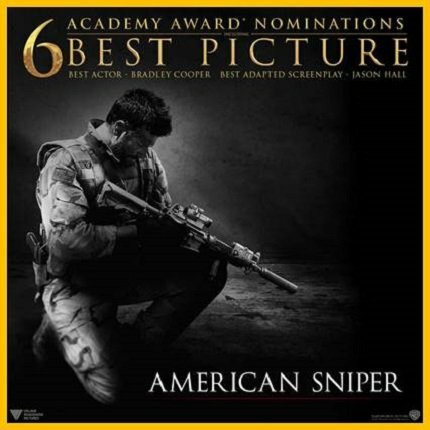 In a long question and answer session published on the website Vice.com, Moore, who was widely criticized by everyone from Kid Rock to John McCain for tweets saying snipers were cowards, said he witnessed firsthand the film’s audience demographic when he saw “American Sniper” in the politically liberal neighborhood of Greenwich Village in New York, N.Y.
Moore said he thinks the movie’s appeal skews toward an audience that doesn’t usually see movies. “It just felt like a real ‘Passion of the Christ’ crowd. People who would normally wait for it to go on video or see it on TV but wanted that collective feeling of sitting there with others,” he said. Deadline Hollywood reported, via The Kelly File, 43% of the American Sniper audience is women. And, 37% are under the age of 25.